food | It's a Miracle! There is a very poignant scene in Mira Nair’s cinematic adaptation of Jhumpa Lahiri’s novel, The Namesake. Having recently arrived in the United States, Ashima Ganguli, finds Rice Krispies in the cupboard and proceeds to eat it as she would the Bengali snack, jhalmuri. Watching the film again, the scene reminded me of a moment of culinary awkwardness I faced years ago when I arrived in the United States for higher studies. I will never forget my first encounter with the burrito. 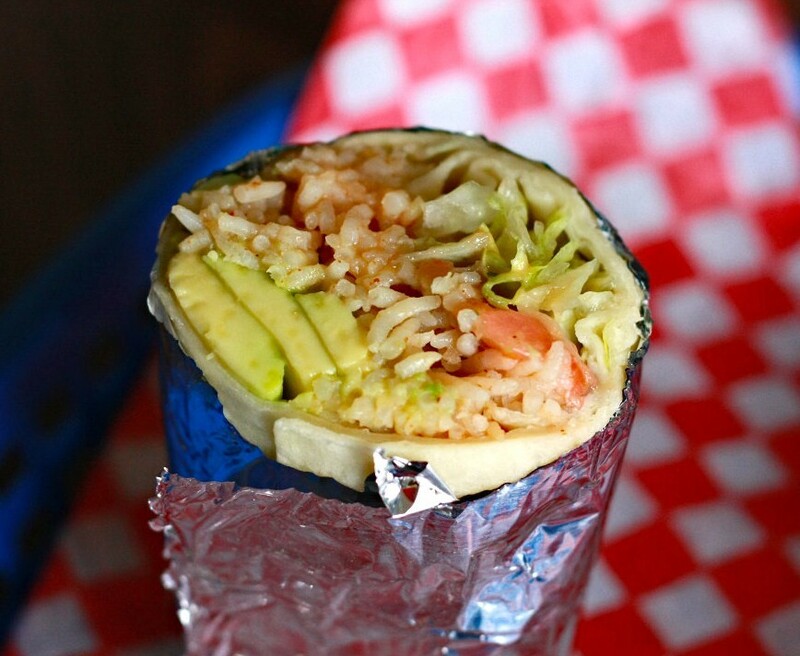 For those unfamiliar with Mexican cuisine (or American variants), a burrito consists of a flour tortilla wrapped around fillings consisting of rice, beans, and meat and vegetables. To elaborate further, the flour tortilla is the closest relative of the desi roti you will come across easily everywhere in North America. I had no problem eating either the tortilla or the fillings. In fact, I quite relished it. My issue was with the packaging. In India, I had grown up eating rotis alongside rice, but the concept of filling a roti with rice was very alien to me. For the longest time, I had a hard time wrapping my head around the whole idea! If you’re from India and you’ve never come across rice packaged inside a roti, how would you feel about eating a burrito? I am sure North American readers will wonder what the big deal is here. Well, let me pose a similar scenario. Would you eat a sandwich that didn’t have a patty, but instead had a salad inside? I am not talking about a tuna salad or a chicken salad, but a house salad. Sure you might be able to get one easily if you wanted to, but if you’re not vegetarian the thought might seem offbeat to you. Then, it will surprise you that the most American of all establishments, McDonald’s, sells a sandwich in India with primarily lettuce, tomato, onion, and salad dressing. Called the Salad Sandwich, this entree item sells where a large chunk of the population is vegetarian and has no problem eating a salad inside a sandwich bun. How would a culinary creation like the Salad Sandwich do in the land of the Big Mac? Hmmm… now there’s a thought! Footnote: Now if you really want to taste a mainstream dish that boggles the senses, I’d recommend fried ice cream. 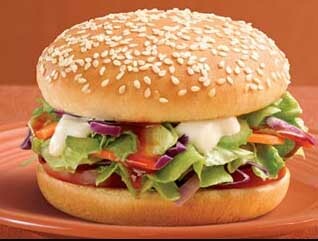 Salad Sandwich Image © McDonald’s India. Fair-use rationale: not-for-profit commentary of product using a very low-resolution image.